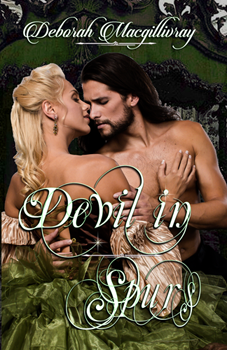 Widow Lady Skena MacIain struggles to protect her own. The battle at Dunbar has left her without a husband and her keep without a force to defend them against the English. In the midst of war, providing for the basic needs and welfare of the community becomes even more urgent and equally difficult. Skena has seen much hardship. 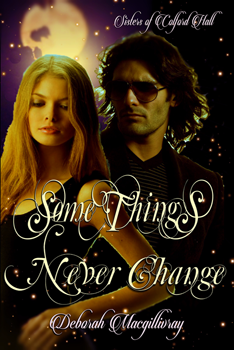 Intelligent and inventive, she thinks up ingenious ways to protect those around her but even someone as noble of heart as Skena needs sustenance for body and soul. Anxious to reach his new home at Craigendan Keep, Noel de Servian journeys across a relentless snow-blinding landscape. 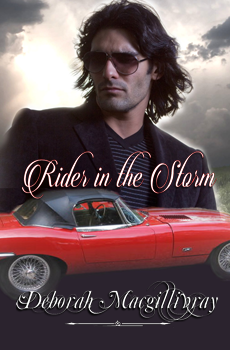 Weather and temperature bring him to the point of death. 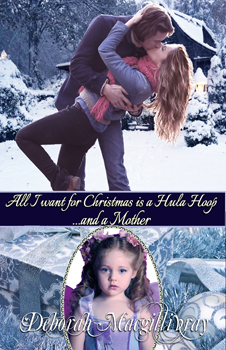 When her two children find a lifeless warrior freezing in the snowstorm, they speak of a magical gift. 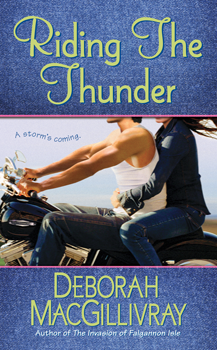 Skena has lived through too much to believe in wishes and easy answers, but as Skena nurses him back to health, she and Noel begin to know one another. 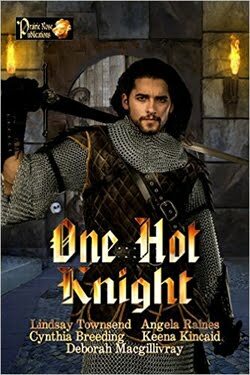 This handsome knight kindles a warmth in her heart. 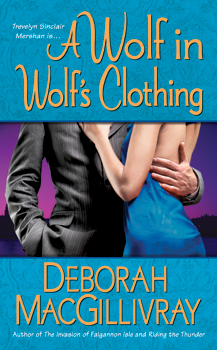 Skena touches a place in Noel's heart but will fate deprive him again of his deepest longings? 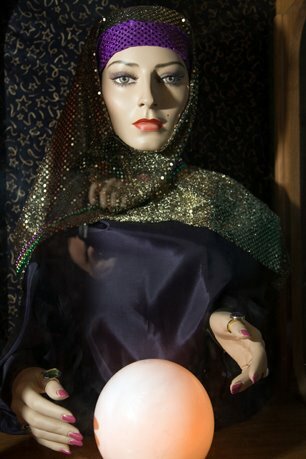 Or will Cailleach, the Queen of Winter, work magic? 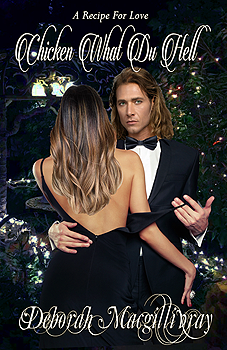 This Christmas, will Noel bring Skena her deepest wish? 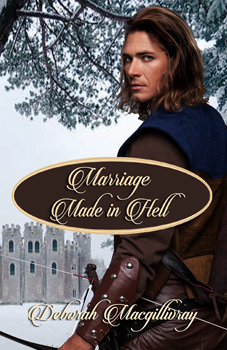 Third in the Dragons of Challon series, the medieval Scottish romance ONE SNOWY KNIGHT is set in 1296, shortly after the Battle of Dunbar and the sack of Beriwick. 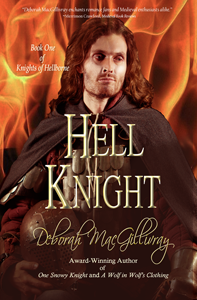 Deborah MacGillivray gives readers an inside look at these historical events, not only in the heart of her hero Noel, a man tortured by the bloodshed he has witnessed but also in the poverty experienced by Skena and her keep. 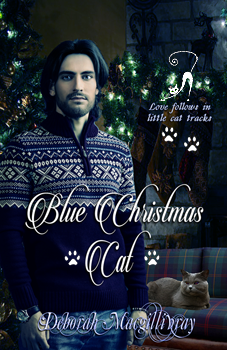 Deborah MacGillivray does an exceptional job at integrating Celtic knowledge into the heart of this Christmas romance. 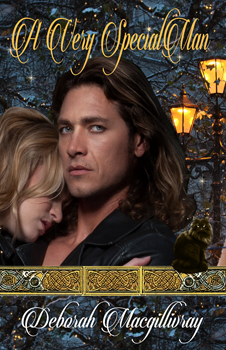 Darker than her previous romances, ONE SNOWY KNIGHT brings alive an aspect of medieval history not often seen in medieval romances that medieval lovers will cherish for its authenticity. 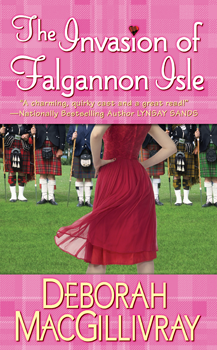 Deborah MacGillivray does an exceptional job in combining historical setting and artistic vision in her creation of the landscape of her romances. 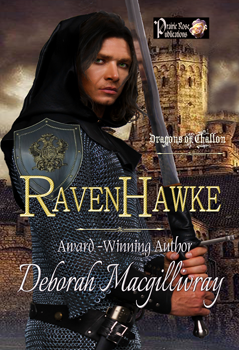 From the first scene of the snow-stranded knight and throughout the romance, Deborah MacGillivray creates stunning imagery that makes the physical and emotional landscape come alive in the reader's imagination. 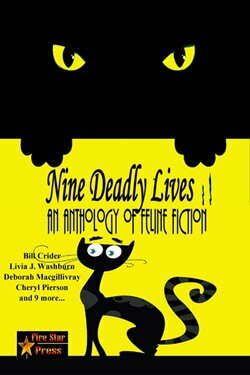 Not only can a reader easily visualize the landscape, but one also hears it in the very language of the dialogue and narration. 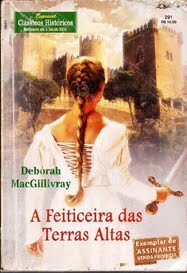 Here, as in her previous Medieval romances, the reader is not so much given a history lesson but taken straight into the heart of the medieval times through the imagery, the conflicts, the characters, the landscape and above all by the artistry of language itself. 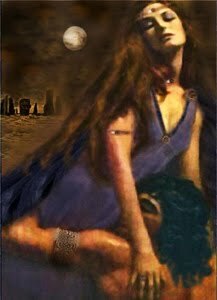 As Deborah MacGillivray turns her vision to the darker aspects of medieval Scottish history, the romance itself has a deeper emotional impact. 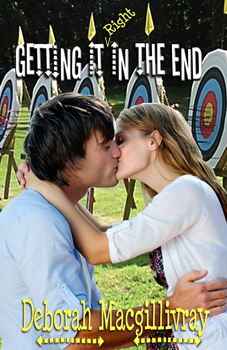 From the darkness and deprivation emerges a love that resonates in the heart with its realness and substance. 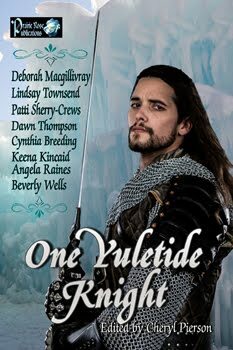 A light superficial Christmas romance, ONE SNOWY KNIGHT is not. 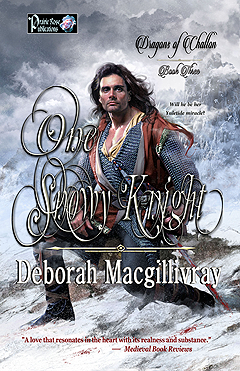 Rather, ONE SNOWY KNIGHT is a romance that resonates deeply precisely because Deborah MacGillivray dares to look at the less often corners of history and of the soul. 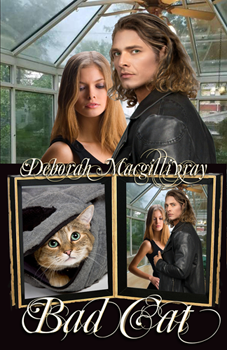 Despite the darker tenor of this romance, Deborah MacGillivray brings relief with these wonderful precisely-placed magical moments, from the innocent belief of children to the wonderful cadence of Skena's dialogue to joyous intimate moments experienced between Skena and Noel. 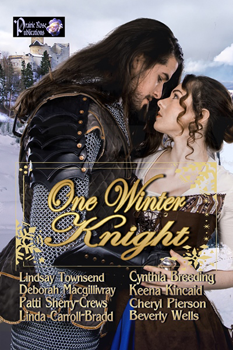 ONE SNOWY KNIGHT is also a romance touched by magic, love and even a delightful sense of humor. 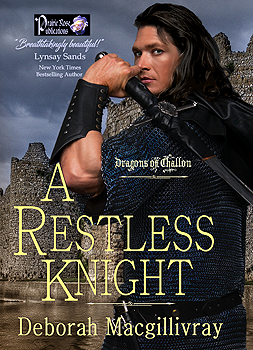 As a sequel to the previous two books, A RESTLESS KNIGHT and IN HER BED, this third romance expands the scope and breadth of the series --- and makes this reader anxiously await what this author has in store for the series as it develops. 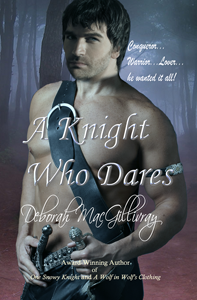 Readers of the series will enjoying seeing characters from the previous romances as well as the author's ability to expand her vision to new areas, but ONE SNOWY KNIGHT also works as a stand-alone for those readers new to the series. 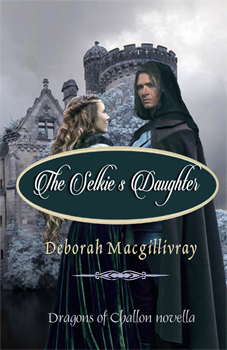 If you are a medieval junkie, like myself, Deborah MacGillivray's romances, and ONE SNOWY KNIGHT in particular, are not to be missed With language and every multi-layered detail, she takes a reader right in the period. 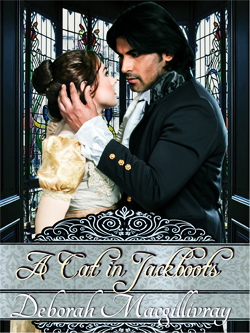 Artistry of writing accompanies the romance, making ONE SNOWY KNIGHT a romance that will appeal to those readers who want more from their romances, to those readers who want history beyond what one can get from a history book and a moving romance coupled with beautiful writing itself. 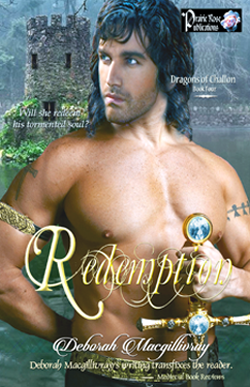 A true delight for all medieval lovers!